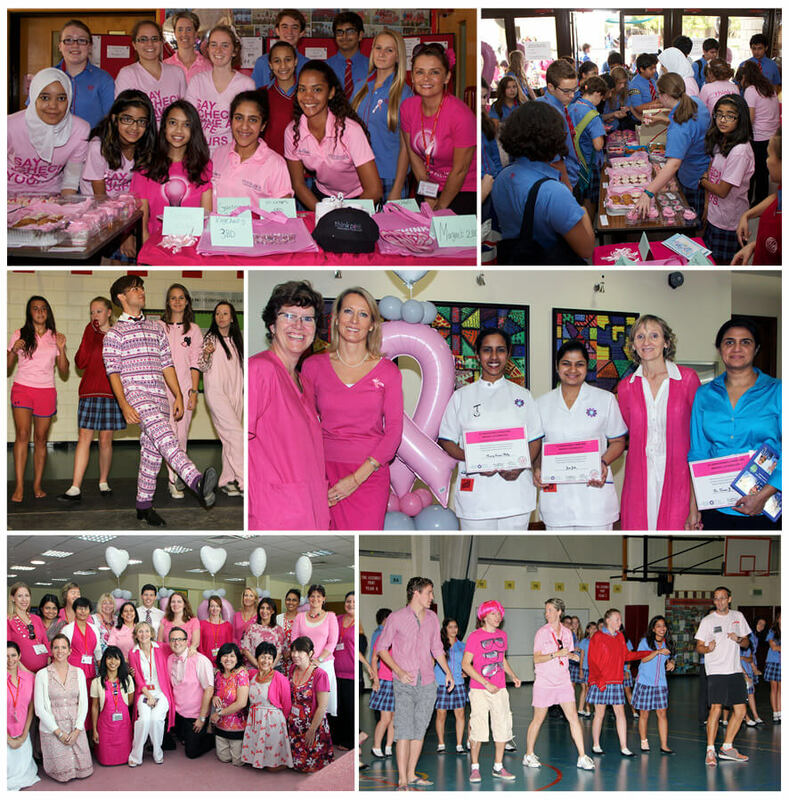 Think Pink Day, in recognition of Breast Cancer Awareness Month was organised at St Christopher’s to raise money and awareness of this charitable cause. The event was supported by Party Mania, Mano’s Restaurant, Cakes Avenue, Al Zain Jewellers, Birthday Bash, A Piece of Cake, Think Pink Bahrain and a team from The Royal Bahrain Hospital. Parents also kindly donated home made cakes to help with fund raising. At the Senior School, a dance performance was given in the Sports Hall and the Community Service class representatives sold cakes and ribbons during break. St Christopher’s Junior and Infant Schools welcomed Dr Kiran Bijlani, specialist in Gynaecology and Obstetrics from The Royal Bahrain Hospital who conducted twenty three examinations for staff. The ambience was very bright as staff and supporters dressed in pink attire for the day. The venue was decorated in pink and even the School Nurse, Miriam Sandy, donned a pink uniform for the occasion. The combined sales of cakes, ribbons and merchandise raised BD1,317. Organisers, Helen Stewart, Kirsty McKay and Helen Kamal, said “the event was a great success and we are very grateful to the organisations, students, parents and staff for their valuable support. Think Pink Day is very important in helping to raise awareness of breast cancer”.